Working days in the prison. The boys are going to the utility room to take building materials. They learn to do some construction work in the prison. All these years I’ve been interested in the theme of the limitations of human freedom, and isolation—both violent and voluntary. My first project was about young women from Nigeria who were brought to Russia against their will and forced to work as prostitutes. Then I shot a story of the incarcerated and their children. Through photos I introduced them to each other’s lives, which they would never see otherwise, as the parents are imprisoned. As a continuation of the theme of freedom, I started a project about Russian dachas seen as a sort of compensatory space necessary in the time of globalization and urbanization. I was interested in small areas—vegetable gardens and dacha lots—that Soviet people got in the 50s to grow vegetables. I was looking for the constructed boundaries that dacha owners put up to hide from the external world by creating one of their own. Meanwhile, I took part in group exhibitions “New documentary” in Art Play (2015); “Field of vision” in “The Lumiere Brothers Gallery” (2016), “Sprouts” in RuArts Gallery (2016), “Not-random eyewitness” in “Human Rights Houses” in Voronezh (2017) and in Saint-Petersburg (2018), “Young photographers of Russia” in Moscow (2018) and the international competition “Point on the map”. Photo stories were published: colta.ru, ruspioner.ru, aeroflot.ru, bigpicture.ru, dailypost.ng. I still take pictures of my niece Alina, and maybe one day this will become a photo project. F-Stop: The current issue of F-Stop Magazine features images from your project “Boys”. Can you tell us about this project? What led to this work? TB: I came to prison for the first time in 2001 as an 18-year-old volunteer from the church. At the time, I wasn’t even thinking about photography. I visited prisons for men and women, juvenile detentions for boys and girls, and closed special schools for teenagers. The juvenile detention where I shot “Boys” I visited twice as a volunteer about 10 years ago. I wanted to go back. When I happened to be there again, they already had a new principal, different rules, and different boys. One thing remained the same—prison schedule. Endless standing in lines and roll calls; the boys move from place to place like a flock of birds. At first glance, they all had the same impenetrable facial expression. The first two times they all ignored me. TB: Initially, I was interested in capturing the life in prison as a life of some depersonalized flock where everyone behaves like robots. But as I became closer with the boys, I realized that each one of them has his own function and place in this flock. I decided to observe and not intervene. There was always a prison guard next to me, who would tell me when I could take a picture and when I couldn’t. I tried to detach myself from this situation, but yet still, I even felt that lack of freedom myself. TB: One of my favorite photos is the one where the guys are taking pictures with cats in the museum. Probably, my personal attitude plays a role here. The principal of this detention is a very brave person. Those of the boys who behave well or are soon to be released are taken outside of the prison and to different museums. Even in the “free world” they acted like they were still in prison: stood as if awaiting a roll call, walked in line, and petted animals only after having been offered to. Only in the evening did they start moving more naturally. 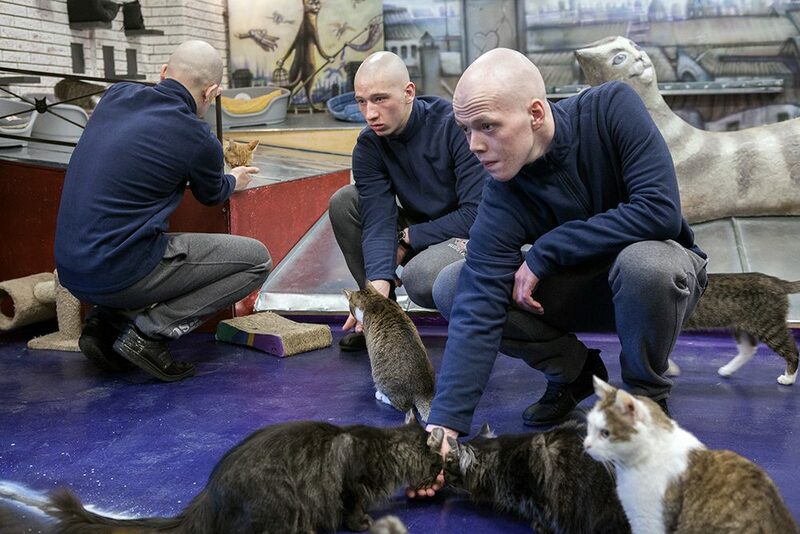 The prisoners at the Cat Museum. If the boys behave well they are taken out of the prison to various museums. This is a personal initiative of the director of this prison. F-Stop: Do you find there is a common idea or topic that you are exploring throughout all the work that you do? What draws you to explore this in your photography? TB: I saw this place not only as one limiting the freedom, but also as some sort of a new home, where the prisoners adapt to the rules and do things they wouldn’t do otherwise, a place where they live and leave behind their youth. Many of them come from problem families. Here they go through stages in life that they had never experienced. Going to school regularly, attending art sections, visiting church, etc. I was surprised how nervous they were while learning poems before the parents’ day, how they were showing their stuffed toys, bragged about what vegetables they managed to grow, etc. When I just arrived here, I thought I’d be capturing losses and suffering, but now I think that for many people this place is the best, as before their lives were even more difficult. Many of them say that here, at least, they eat regularly. Some of them committed horrible crimes. But I don’t want to pity or judge them. 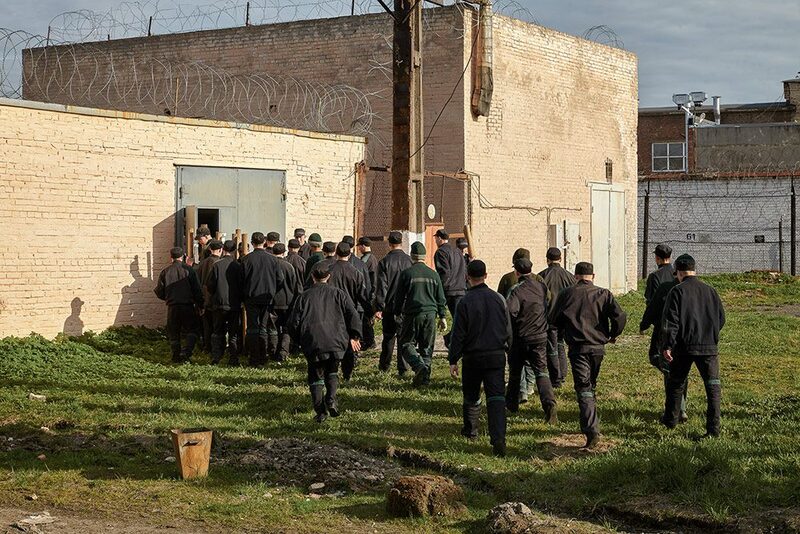 The main problem in the post-prison support in Russia is the absence of guidance. Many of the boys will go back to their dysfunctional families and criminal neighborhoods. Many of them are sentenced for a long time, and as soon as they are released, they are transferred to an adult prison, where all the best that was instilled in them will be lost. F-Stop: What do you hope people feel or maybe learn from these photographs/ your work? TB: I want to help to fight the stigma surrounding Russia, and make sure that the government comes up with a program aimed at adaptation of prisoners after their release. I also want people to think about their children and not lose contact with them, especially at the moment when they are becoming adults and want adventures. TB: For me, camera is the connection between me and my heroes. If it weren’t for my camera, I would have no chance to get acquainted with many of them. As they often have difficult life stories, communicating with them turns my consciousness upside down and leaves there something new. 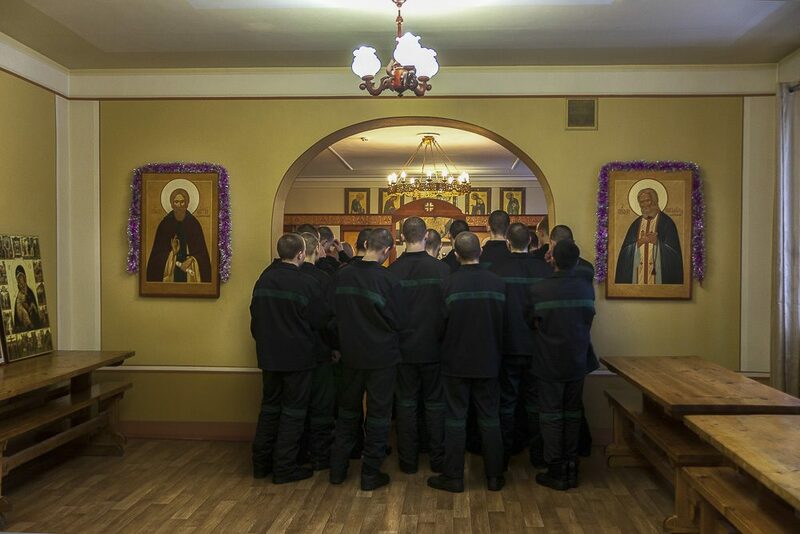 During the liturgy in the Orthodox Church in the prison. 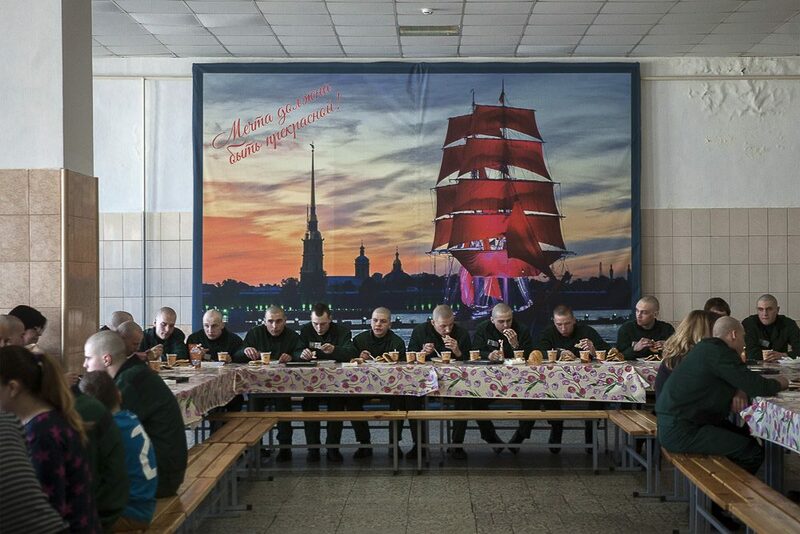 TB: At the moment, I still continue taking photos for “Boys” in different detention centers, and I’m working on the “Escape” series about Russian dachas. I’m also working on a new project. I’m studying the Red Terror, which was a turning point in Russian history. TB: I am very inspired by Alessandra Sanguinetti, especially his series about two friends, Guille and Belinda. I am also a big fan of deadpan photographers, such as Alec Soth, and Bryan Schutmaat.